MMA Workouts Los Angeles | MMA Fighting Events Videos Techniques UFC Fight Picks and News. When it comes to MMA (Mixed Martial Arts) or any other sport for that matter, whether you're a beginner or advanced, there's always holes that you can fill that will make you better in the sport. If you're in the Los Angeles area, and you want to step up your MMA game, Jiu Jitsu, Muay Thai or any other related combat sport, you should stop by So Cal MMA in Los Angeles. Owner, head trainer, and former MMA fighter Joey Alvarado has some unique exercises and drills that will surely fill in any hole in your game, and sharpen up the tools in your MMA arsenal. 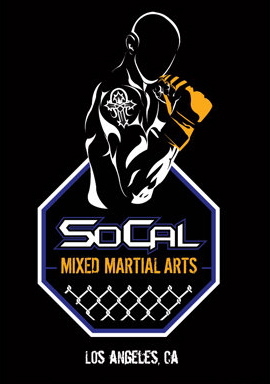 The workout video was shot at SoCal MMA and Fitness. SoCal MMA and Fitness is a Los Angeles MMA gym that is fully equipped. They offer, Boxing, Muay Thai, Brazilian Jiu Jitsu, Judo, Women's Kickboxing, unique Kettlebell workouts and various self defense techniques. "The best no nonsense gym on the east side. Joeys morning kettle bell classes are a great way to start the day. He's a very knowledgeable and patient instructor with years of experience. Give them a try and you'll find a great workout for the beginner or the gym rat who wants a challenging full body workout." "This gym is like no other. It's the most welcoming and open gym I've ever been too. I've been doing early morning kettle bell classes with Joey and he is a phenomenal trainer. His focus on proper form enables me to really develop a strong foundation so that as I increase in weight I maintain great form. Joey makes the classes fun with his sense of humor and great personalty. I highly recommend to everyone - come down and try out one of the kettle bell classes - you will engage muscles that you probably don't even know you have. It's a total body workout that's physically and mentally challenging. Here the link to the rest of the Socal MMA gym reviews on yelp. Stay tuned for more videos and MMA gym visits, as well as UFC news, local MMA fighters and events. 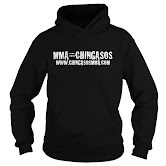 E-mail us at ChingasosMMA@gmail.com to come out and showcase your gym, fighter or MMA product.